Commercially successful films from India which originated in Mumbai and are now called “Bollywood” have influenced movies like Slumdog Millionaire – but what makes Bollywood films so popular remains a mystery. Why do millions of Indians, and a growing number outside of India enjoy three-hour films with fantastic themes, non-stop songs and dances, and unbelievable plots? India’s film industry (which expands beyond Mumbai) releases about 1,000 films a year which is almost twice the number of films released by Hollywood. Through clips from Bollywood movies as well as emerging modern films, Nandini Kuehn will help us understand what defines these films and their success, and glimpse the emerging market for new, vibrant cinema in India. We will look at new presentations at film festivals in the west and Netflix’s efforts to corner the large movie going Indian community both in India and the Indian diaspora through streaming films and serials. Nandini Kuehn is a native of India and has been a film buff her whole life. She remembers well seeing classic Bollywood movies in her youth. Over time, she became aware that this model which was taken for granted and often dismissed as outrageous was quietly popular across the Middle East, in the Soviet Union, in South-east Asia and in parts of Latin America. She returned to it, intrigued enough to try to understand, as an audience member, the basis for this cross-cultural popularity across the world and how to approach them to perhaps enjoy them or at least understand their popularity better. She is now firmly a fan and follows Indian film as closely as she can while living in the US. She has a Ph.D. from the University of Michigan and a Master’s in Health Administration from the University of Minnesota. 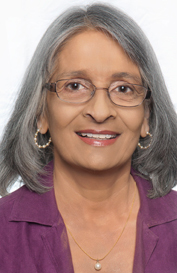 She has worked in the field of health care in the US and internationally for over 30 years. Lecture: $15/Albuquerque International Association (AIA) Members, $20/Non-Members; Students (under 30) with ID – Free. Please address checks to AIA and mail to AIA, PO Box 92995, Albuquerque, NM 87199 by May 9, 2019. You can also pay on-line with credit card or at the door (cash and check only). *Early Bird 20% Discount: $12/AIA Members, $16/Non-Members. Payment deadline is May 5, 2019.